Lahore is a city that takes immense pride in its culture and heritage. We recommend spending at least a full day in the walled city, the cultural hub of Lahore. The remains of the walled city of Lahore speak of the glorious history of the city. The 12 and a half magnificent gates and other beautiful structures in old Lahore are indicative of the scars that some of the biggest empires, such as the Mughal Dynasty, the Sikh empire and the British Raj, have left on the city. The Badshahi Mosque and Lahore Fort are prime examples of the blend between Turkish, Indian and Victorian architecture that Lahore harbors. 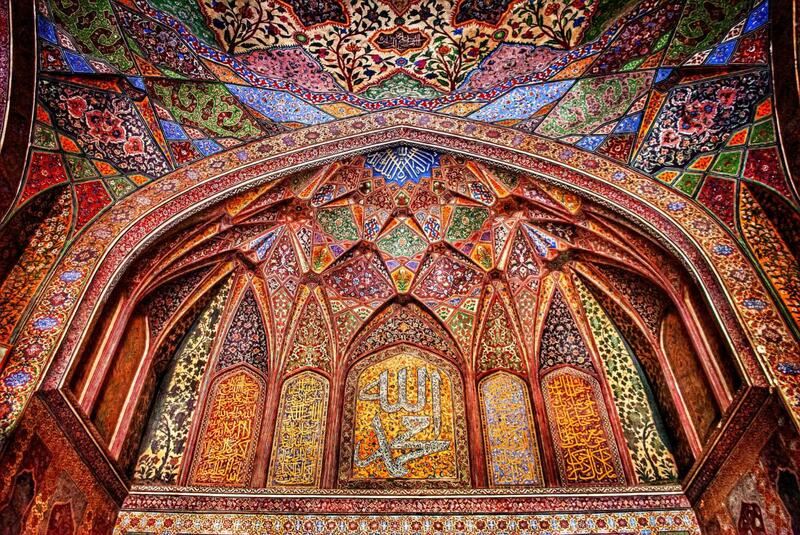 The Wazir Khan mosque was completed in 1643 during the reign of the Mughal Emperor Shah Jahan. The mosque is renowned for its intricate and extensive embellishment. The mosque’s prayer hall lies at the westernmost portion of the site and is approximately 130 feet long and 42 feet wide. The Badshahi mosque, as the name suggests, is truly a king’s place of worship. Its sizeable and magnificent structure symbolizes the power and greatness of the Mughal dynasty even today. It is one of the most exuberant creations of the Mughal dynasty and an exceptional example of the golden age of Muslim architecture. Right next to the Badshahi mosque is the Lahore Food Street where you will find plenty of options for the best that Lahori food has to offer. The view in the photograph is from the top floor of the ‘Andaz’ restaurant on the Food Street. 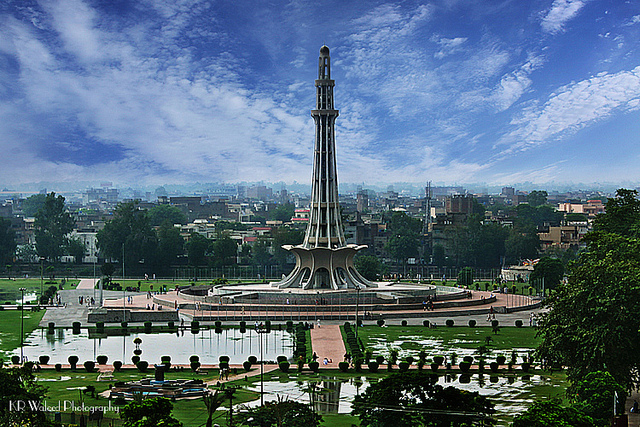 The Minar-e-Pakistan, the epitome of Pakistan’s independence, is the site where the Lahore Resolution was passed by the All India Muslim league on 23 March 1940. It is the place where the promise of a free country was made to the Muslims, the then oppressed populace of the subcontinent, by the great founder of Pakistan, Mohammad Ali Jinnah. 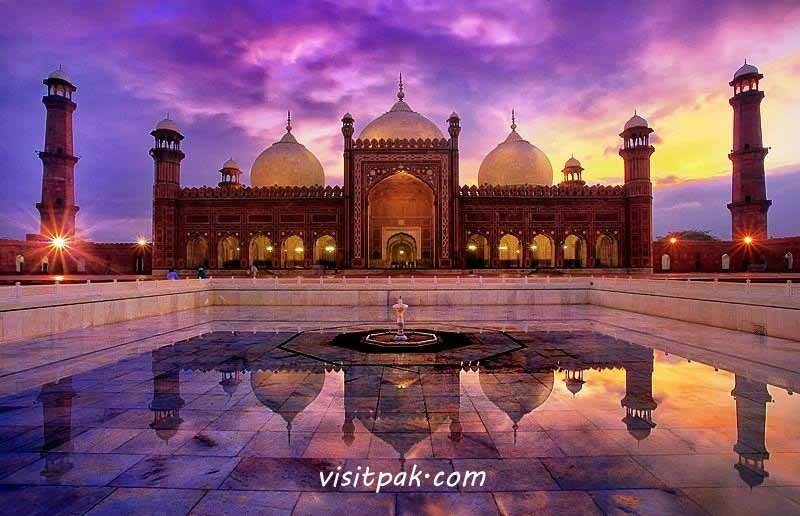 These are just a few of the numerous touristic attractions in Lahore. Others include Shalimar Gardens, Sheesh Mahal, Hiran Minar, Jallo Park and many more. Lahore is one of Pakistan’s most liberal and cosmopolitan cities. It is a must visit for anyone who loves history and travelling.